As technology has evolved, so has our ability to process data at an incredible rate, making it possible to perform what has become known as Anticipatory Analytics. While still a relatively new concept, anticipatory analytics is gaining prevalence as a methodology. 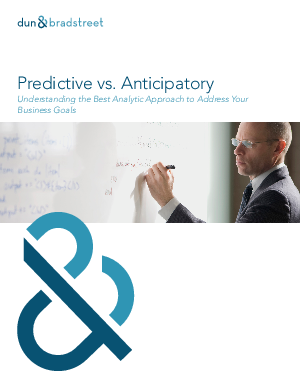 If you’re seeking to understand the future needs of your business before they show obvious signs, anticipatory analytics can’t be ignored.